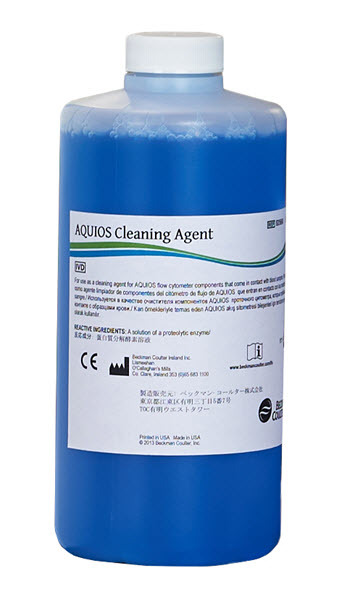 A cleaning agent for use on the AQUIOS flow cytometer components that come in contact with blood samples. This azide-free, formaldehyde-free, biodegradable cleaner contains a proteolytic enzyme that aids in the removal of protein buildup in the fluidics system and flow cell of a flow cytometer. The Cleaning Agent resides onboard the instrument and is used in automatic cleaning cycles.